Skills@Work is compiled and distributed by the Australian Government’s Department of Education and Training. All articles are submitted by the originating organisation and are published with their approval. On 23 December 2014, the Prime Minister announced that all skills and vocational education policy regulation and programmes, including training, apprenticeships, skills assessment services, foundation skills for adults and adult migrant education, would be moved to the new Australian Government Department of Education and Training. This move is expected to take place in mid February. The Assistant Minister for Education and Training, Senator the Hon Simon Birmingham, will have responsibility for skills and training matters. Working on the principle of ‘people following function’, there will be few if any changes to the staff in the skills divisions so you can expect to continue dealing with the same people. Staff will be given new phone numbers and new email addresses once they arrive at Education. All teams will contact their stakeholders to provide their new contact details once these are available. The Skills@Work team looks forward to continuing to provide you with regular and informative newsletters from its new home at the Department of Education and Training! Industry Skills Fund – now open for applications! The Australian Government’s $476 million Industry Skills Fund – Growth Stream is assisting industry to invest in training and support services and to develop innovative training solutions. It will help business to build a highly skilled workforce, ready to take advantage of new growth opportunities and adapt to technological change. The fund will provide up to 200,000 training places and support services over four years, with funding provided through a co-contribution model. Applications for the Industry Skills Fund – Growth Stream are now being accepted. Please visit the website for further information on eligibility and how to apply. The new National Training Complaints Hotline gives students, apprentices and employers an avenue to lodge complaints and concerns about the vocational education and training system. These complaints are then directed to the organisation best placed to consider the complaint. The Hotline is a joint initiative of the Australian and state and territory governments. Launched by the Assistant Minister for Education and Training, Senator the Hon Simon Birmingham, on 20 January, the Hotline is now open between 8.00 am and 6.00 pm nationally, Monday to Friday. If you would like to register a complaint, please call 13 38 73. Alternatively, you can email a complaint to skilling@education.gov.au. Further information about the Hotline, including frequently asked questions, is available online. Unique Student Identifier – well over 500,000 have been created already! Every year, many Australians build and sharpen their skills by undertaking nationally recognised training. A USI ensures that student records are not lost, and allows students to find and collate their VET achievements into a single, authenticated transcript. Further to this, keeping accurate, accessible training records will allow government to target the skills needed by Australian industry. This is important for Australia’s businesses and future prosperity. This year, a USI is needed for every student before a training organisation can issue a statement of attainment for any nationally recognised training. A USI is now a part of meeting VET data collection and reporting requirements. For training organisations, having the USI as part of your enrolment processes will put you ahead of the game. Most training organisations have already integrated the USI into their systems. Training organisations that are yet to request access to the USI Registry System are strongly encouraged to complete the Online System Access Request Form. For online resources that can help you with integrating the USI, please see the USI support materials. For students, having a USI ready at enrolment will save delays in getting your certificate or statement of attainment at the end of your training. So, the key is to become USI-ready as early as possible. Students, if you’re doing any nationally recognised training this year, create your USI now. You’ll save yourself time by having it ready for enrolment day. You’ll also be on the way to having a lifetime record of all your training that you can access online anytime and anywhere. The Assistant Minister for Education and Training, Senator the Hon Simon Birmingham, launched the National Consultations on VET Reform in Melbourne on 15 January 2015. Throughout January and February, face-to-face consultations are being held in every capital city, along with a series of webinars. the Review of Training Packages and Accredited Courses. A wide variety of stakeholders are being encouraged to have their say on VET reforms, which will ensure that the training system is meeting the needs of Australian workplaces now and into the future. You can visit the Assistant Minister’s media centre for updates as the consultations progress around the country. For those consultations that have already occurred, the Department would like to thank all participants for their contributions. For those who missed out on attending, feedback on VET reform priorities can be submitted via email to the VET Reform Taskforce. Submissions on the Review of Training Packages and Accredited Courses Discussion Paper can be made through the Consultation Hub. Please visit the website for further information on the sessions. The bilateral relationship with India continues to strengthen. The last six months have seen numerous high level visits to both countries encouraging greater collaboration between Australia and India, including the Australian Skills Mission to India. On 10 and 11 November 2014, the Hon Ian Macfarlane MP, now Minister for Industry and Science, lead the largest skills delegation yet to India. 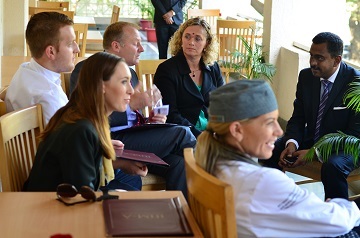 The visit to Mumbai attracted 107 Australian industry and training sector representatives who have commented on the value of participating; from networking opportunities and building business relationships to understanding potential commercial opportunities between Australian and Indian industry and training providers. During the visit, the Minister addressed the third India Australia Skills Conference (an initiative of the Australia India Education Council), Skills for Better Business, and the Confederation of Indian Industry’s Global Summit on Skill Development, Global Experience – Linking Skills with Productivity. A suite of events occurred around the two large symposia, including a business leaders’ roundtable on skills for the resource and energy sector, hosted by the Minister, which examined opportunities for upskilling the Indian resources and energy sector workforce. Nine Memoranda of Understanding on bilateral cooperation in the area of technical and vocational education and training were signed in the presence of Minister Macfarlane. The Minister also launched a pilot training and assessment programme to be trialled in India over the next 12 months by Australian registered training organisations partnering with Indian organisations. 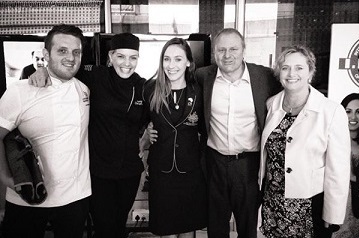 An Australian Skills Team, comprising WorldSkills Australia representatives and Australian Training Award recipients, showcased the quality of Australia’s training system as they participated in a range of activities across three cities over three days. One such activity was a skills demonstration during the Skills Conference. 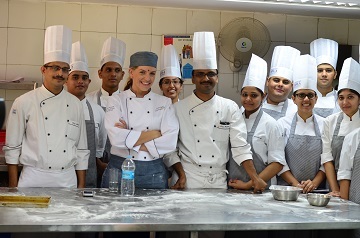 Baker Morgan Clementson, a member of the Australian Skills Team, wrote a blog about her experiences in India, which you can read online. Further information can be found in Minister Macfarlane’s media release. Applications close on Friday 29 May 2015. For more information, visit the website, phone 13 28 46 or send an email. The submission window for the collection of total VET activity data is now open. January was a busy time for RTOs, and NCVER knows some of you have already validated and submitted your 2014 data - congratulations to the early birds! If you are an RTO which has yet to submit its data, please be aware that the 27 February 2015 deadline for reporting your 2014 accredited training activity to NCVER is fast approaching. If you have not already registered to use the AVETMISS validation software (AVS), now is a good time to do so. Don't forget to set your organisation's roles and responsibilities in AVS before attempting validation. Please see the user guide under the Resources tab for more information. If you're unsure how to validate and submit your data, NCVER has developed fact sheets that set out where, when and how to report AVETMISS data. Alternatively, you can contact NCVER's Client Support team on 08 8230 8400 or 1800 649 452 or send an email for further assistance. Trades Recognition Australia (TRA) will be running a workshop for those registered training organisations (RTOs) that are interested in conducting skills assessments on its behalf. The workshop will provide information on the expression of interest (EOI) process and how to prepare an EOI submission. miscellaneous technicians and trades workers (drillers and hairdressers). The workshop is expected to be held in Canberra in early March 2015. Participants will need to arrange their own travel. A workshop booklet will be circulated to all registered participants prior to the workshop date. discuss the EOI evaluation process. TRA representatives will be available to answer any questions participants may have about the EOI submission process. For further information and to register your interest, please email TRA. data on post-school qualifications and employment. Developed to offer another pathway to university, VET in Schools programmes were broadened in the early 2000s to enable subjects to be scored and therefore count towards both nationally recognised training and university entrance score. This important study is the first attempt to examine any impacts of taking a scored VET subject. How can VET in Schools programmes be strengthened to provide young people with vital pathways to careers? This report brings together key findings from three years of research and highlights important themes and structural changes for strengthening VET in Schools which have been tested with stakeholders from government, boards of study, industry, schools and VET providers. Where are young people, aged 15 to 19, studying, and how many are there? While the overall participation rate in education and training remained steady in 2013 at 81.3 per cent, fewer young people took part in VET with more opting for higher education. This statistical publication provides data on VET in Schools students, school students, higher education students, apprentices and trainees and other students who undertake publicly funded VET. NCVER has also published VET in Schools data and key performance and programme measures for school-aged youth in vocational education and training 2013. ACER is developing the comprehensive Foundation Skills Assessment Tool (FSAT) for the Australian Government. Trials of FSAT have now commenced and new skill areas, including Listening and Learning from the Australian Core Skills Framework and skills from the new employability skills framework, the Core Skills for Work (CSfW), have been released. The trials will continue until at least the end of February 2015. Providers receive reports of each learner's performance against the skill in the relevant framework. Participation in the FSAT trials is suitable for your 2015 pre-training LLN assessment! There are also some free half-day workshops about the new CSfW and its assessment in FSAT being planned for late February or early March. These sessions will enable you to become more familiar with both the CSfW and FSAT. For further information or if you are interested in taking part in the trials, please visit the FSAT website. The Australian Apprenticeships and Traineeships Information Service is a long-time provider of Australian Apprenticeships information, resources and support. An independent review of the Service is currently being conducted with input being sought from staff in organisations involved in any aspect of Australian Apprenticeships. You can have your say by completing a brief survey. For further information please contact the Australian Apprenticeships and Traineeships Information Service on 1800 338 022.
addressing relevant internal administrative processes, such as timetabling, to enable implementation. During February and March 2015, a series of workshops will be held in each state to discuss the project and share some of the tools we have developed. These workshops will be tailored for RTOs training and assessing apprentices. The Engineering Excellence project has direct relevance to metal trades, but any other trade dealing with competency based wage progression, such as building and construction or automotive, may be interested in adapting what has been developed. Other stakeholders such as employers, group training organisations, Apprentice Field Officers/ training consultants and Australian Apprenticeship Centres are also welcome to attend. Townsville - 11 March 2015. Venues will depend on numbers registering. To register please email AiG’s Peter Canavan. On 12 December 2014, Education Ministers endorsed Preparing Secondary Students for Work – A framework for vocational learning and VET delivered to secondary students. This framework is now available on the Education Council website. The Working Group responsible for the framework will continue in 2015, in order to develop materials to support the framework’s implementation. The Group will convene early in the year to discuss an expanded Terms of Reference and a 2015 work plan. VETnetwork Australia is hosting an interactive professional learning session on the new framework in Canberra on 25 February 2015. Please see the Upcoming events section (below) for further details of the session, as well as how to register. A suite of eight programs is available to support the varying roles within an RTO including managers, trainers and assessors and administrators. Ongoing professional development is vital to maintain an individual’s skill, knowledge and expertise relevant to the VET sector. Velg Training’s mentoring programmes allow knowledge to be communicated and built upon over the year to enhance your organisation’s continuous improvement process whilst maintaining your individual currency requirements. There is an online video to demonstrate and advertise the programme. For more information on individual programs, please visit Velg's website. Alexandra Reeve admits that, like many before her, she was a little lost after completing secondary school. The Australian Apprenticeships Ambassador tried multiple courses at university and had plans to be a nurse, social worker and a police officer at different stages. Alexandra eventually secured a traineeship, a move where she got paid to study whilst working for the Victorian Government Minister for Education and gaining a Certificate III in Business. Alexandra detailed her experience in a blog post that will be useful for the many teenagers who completed secondary school in 2014. To learn more about the opportunities an apprenticeship or traineeship can provide, like Australian Apprenticeships Ambassadors on Facebook and follow @AusApprentice on Twitter. Business Services training package - have your say! Release 2 of the MSA Continuous Improvement Plan includes minor changes to estimated endorsement timelines. Information about the MSA training package development and QA procedures, and the interim endorsement process, is also available (PDF, 642 KB). For details and information on the status of MSA training package development projects, please refer to MSA's website. LMT07 – compliance and redevelopment. SkillsDMC has revised and updated the assessment resources for the 20 most sought after units of competency in the RII Resources and Infrastructure Industry training package. These updated resources feature improved guidance for assessors and are customisable to users’ specific needs. They are delivered electronically so you can start using them immediately – no need to wait! These assessment resources can be purchased now through the SkillsDMC online shop. Further information about the RII training package is available on the SkillsDMC website. These three new Australian Apprenticeships Ambassadors all participated in Group Training Australia’s 2014 Today’s Skills: Tomorrow’s Leaders programme, which identifies and develops leadership potential in apprentices and trainees. Twenty one participants are selected each year to attend the five day programme in Canberra. You can read more about the Today’s Skills: Tomorrow’s Leaders programme on GTA’s website. "The best decision of my life!" A lifelong fascination with trucks and boats was always going to lead Joshua Brumm to a career working with them. Despite this, like many school leavers assessing their career options, Joshua had some trepidation about committing several years to an Australian Apprenticeship. 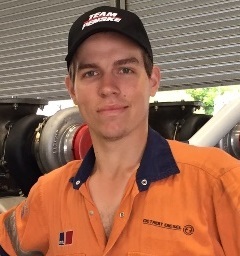 Having gained a Certificate III in Automotive Diesel Engine Technology in 2014, the Australian Apprenticeships Ambassador says it was "the best decision of my life." “Starting an Australian Apprenticeship straight after high school allowed me to achieve my goals at work and in life,” Joshua said. Continue reading Joshua’s success story. Emma Forrester faced the same dilemma that many teenagers encounter – what to do after secondary school? The 20-year-old said she was “very unsure” of what career to pursue. 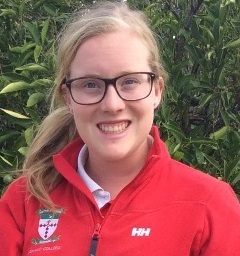 “University was an option, but I did not want to make a financial and long-term commitment to something that I may not end up enjoying,” Emma said. 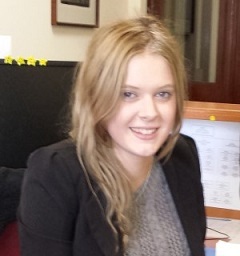 Emma is now undertaking her second qualification and is an Australian Apprenticeships Ambassador. Continue reading Emma’s success story. Grace Brennan’s path to becoming a teacher demonstrates the opportunities that apprenticeships and traineeships provide. A physical education teacher traditionally attends university for three to four years before working in a school. But for the Australian Apprenticeships Ambassador, a traineeship has allowed her to gain experience in a secondary school much sooner. “I am involved in various sporting activities ranging from coaching teams to organising events,” Grace said. 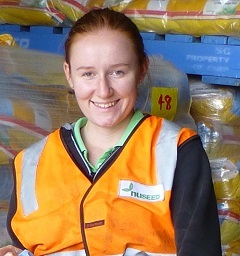 “I enjoy the practical side that traineeships offer. Continue reading Grace’s success story. The Department of Education and Training will be conducting training for approved VET FEE-HELP providers throughout 2015. This training is suitable for recently approved or existing VET FEE-HELP providers that wish to refresh their knowledge. For more details and schedules of dates and venues please visit the Department of Education and Training's website. VETnetwork Australia will host an interactive professional learning session on the new framework titled Preparing Secondary Students for Work – a framework for vocational learning and VET delivered to secondary students. detailed presentations on the framework and its implementation nationally. What is the impact of the new framework? current research in relation to the success of VET and vocational learning. Does the new framework correlate with this research? facilitated discussion on current issues and challenges in vocational learning and VET. How can the VET sector collaborate to address these challenges? For more details and to register, please visit VETnetwork Australia's website. VETnetwork Australia’s full professional learning calendar for 2015 is now available. Places are filling fast for MSA’s Future Directions Conference at the Australian International Airshow, to be held at Victoria’s Avalon Airport. The conference will feature speakers from Australia’s leading aerospace manufacturers and maintainers, along with Rachel Dudok, 2014 Vocational Student of the Year and Australian Apprenticeships Ambassador. The conference will explore some of the manufacturing skills training issues confronting the aviation industry, as well as future initiatives and directions. It will also identify skills we might need to access the opportunities of the future. For more information on the conference and to register, please visit MSA’s website. These dynamic events will feature keynote presentations from David Tout, Senior Research Fellow and Manager, Vocational Adult and Workplace Education, Australian Council for Education Research (ACER) and Ros Bauer, winner of the Excellence in Language, Literacy and Numeracy Practice Award at the 2013 Australian Training Awards. Melbourne - 13 March 2015.
professional opportunities and challenges of practitioners. The Australian Institute of Training and Development (AITD) presents the leading annual conference for training, learning and development and organisational development professionals! Speakers include Ben Betts, Anne Bartlett-Bragg, Marc Ratcliffe, Alistair Rylatt and more. Join your professional community for this significant event! For more information, visit AITD's website. Early bird registrations are now open, key note speakers have been announced and two full-day pre-conference workshops have been added to the programme! Anthony Kittel, CEO and Managing Director of REDARC Electronics and one of the National Foundation Skills Strategy Project Workplace Champions. For further information and to register, please visit ACER's conference website. Researchers, VET practitioners and industry representatives are invited to present at the 24th National Vocational Education and Training Research Conference 'No Frills' in Sydney this July. NCVER is seeking presentations that showcase quality research based on sound evidence, a focus on findings and recommendations that can be applied to the wider VET sector. Skills: working with industry and employers to improve education and training. For more information about the conference, and details about how to submit an abstract, please visit NCVER’s 'No Frills' website. 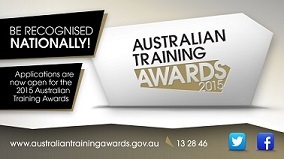 The Australian Training Awards presentation dinner event will be held in Hobart, Tasmania, on Thursday 19 November 2015. Visit the NSW State Training Services website to view upcoming Smart and Skilled approved professional development opportunities for Registered Training Organisation staff in 2015.
unpacking measurement skills using the Australian Core Skills Framework. ‘snapshots’ that unpack the measurement skills in authentic job tasks including bicycle fitting, cabinet fitting, health monitoring, show fitting, smallgoods packing and tyre wall markings. Produced by the National Centre for Vocational Education Research (NCVER) and funded by the Australian, state and territory governments, VOCEDplus is a free online resource offering international coverage of issues as well as an Australian focus. It currently holds over 65,000 entries, many providing instant access to full text via your desktop, with around 400 new titles added each month. Where possible, NCVER will supply items as requested according to its Conditions of Use. Subscribe to VOCEDplus News for the latest news and updates. Ideas That Work has developed 25 language, literacy and numeracy (LLN) videos for the What Works for LLN training and professional development video library. These videos contain practical LLN tips and good practice examples to help build vocational trainers’ and assessors’ capacity to support learners with LLN needs. The What Works videos available to view or download for free from the What Works for LLN website. Introduction to workplace LLN series (new videos coming in 2015). These videos were funded by the Australian Government. If you would like to provide feedback, supply an article for inclusion in the next edition or join our list of subscribers, please email skillsatwork@industry.gov.au. The next edition will be published in March 2015. Submissions are due by 18 February 2015.